1. The Paperie is having a *huge* day on Saturday! It’s their anniversary so almost everything will be tax free, the May club kit is going live (and I have it on good authority that it’s amazing this month! ), there will be a fabulous bake sale, and there will be a Mother’s Day card Make ‘n’ Take! 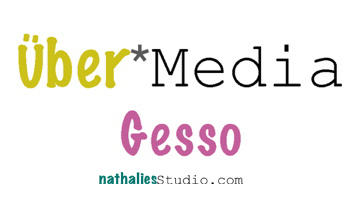 You should definitely all go – it’s going to be a great, and yummy, day! 2. Speaking of the bake sale at The Paperie, the person doing it is none other than Krista! Along with being a talented scrapbooker, she’s also an incredible baker! I bought some things from her shop, Taffety, at Christmas and they were to die for! For instance, I am not a caramel fan, too sweet and sticky for me, but she made these Salted Caramel Shortbreads and I think I ate the whole container myself – oops! She’ll have those there on Saturday, along with Red Velvet Cheesecake Brownies, and more. Yummy! 3. Check this out. Goes along very nicely with yesterday’s post and is an awesome technique that I have to try! 4. 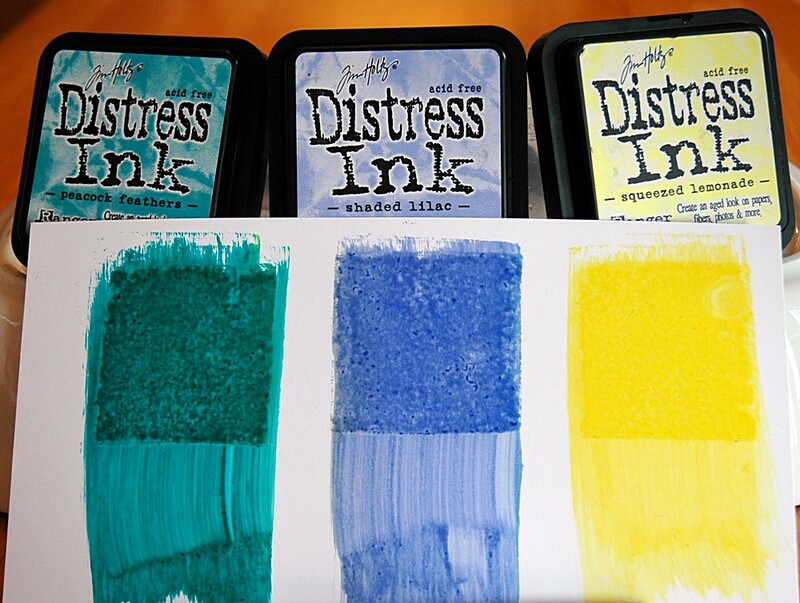 And speaking of the Spring Seasonal Distress Inks – they could not be much better. An awesome yellow, a beautiful lilac, and the most incredible teal, called Peacock Feathers! Going to be my new fave for sure! 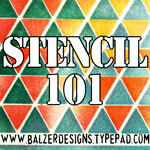 I swiped each across Specialty Stamping Paper, then pressed down the ink pad at the top to show the more intense colour. Love! Check out this great video showing how these colours fit into the existing palette. 5. 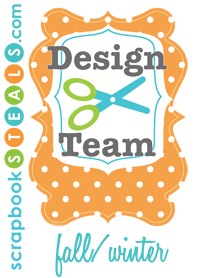 One of the best tools I have in my scrapbooking arsenal was free. You can go to the Ranger website and, for most of their products, you can download label sheets and Colour Charts. I use these all the time and people are always asking me where I got them – here they are! The charts are great for knowing what colours you have left to buy and for knowing what colour ink to use; the labels make is super easy to find the ink colour you’re looking for! Have a good one – back tomorrow with a couple of easy cards using the new Distress Ink! Thanks for the link, Sara!